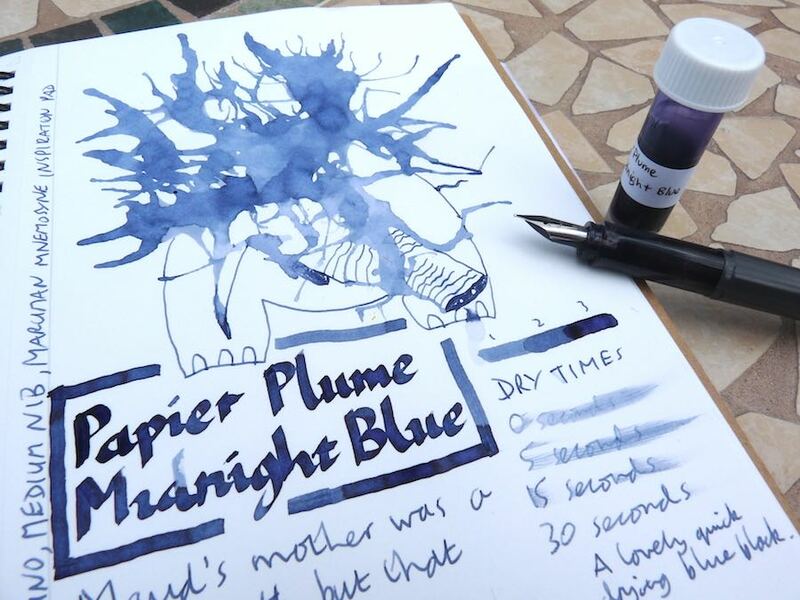 Papier Plume Midnight Blue Ink Review – Pens! Paper! Pencils! This is a very nice blue black. There’s no shortage of choice in blue black inks but this is one of the better ones, which the added advantage of drying very quickly. 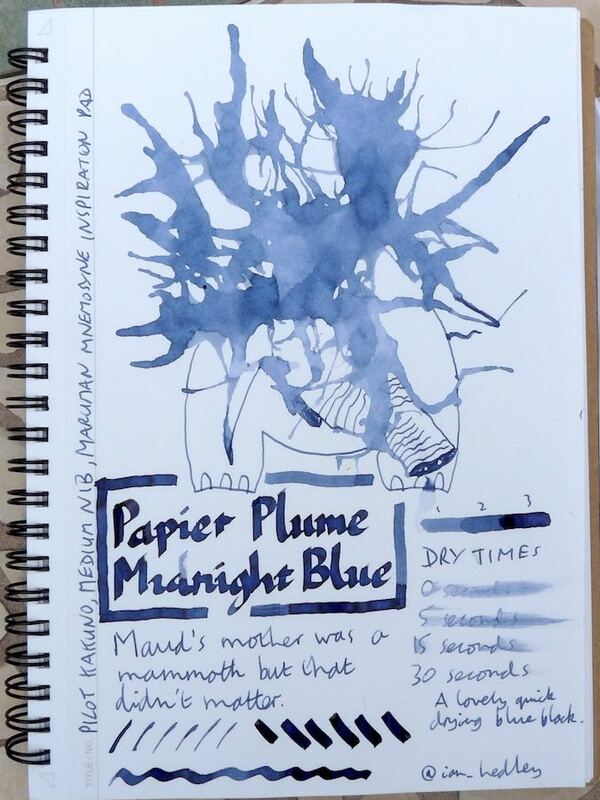 Thank you very much to Kyle for introducing me to Papier Plume inks.